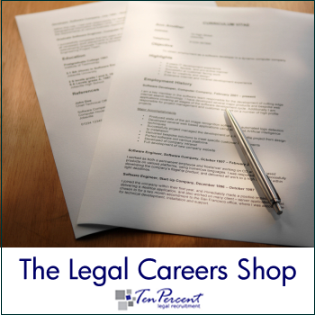 Whilst it is good to hear the difficulties from a recruitment perspective on hiring paralegals. From a candidate who is legally qualified, completely on a part-time basis, and who has poured in time and effort into pro-bono legal work, prior paralegal experience, and one who, yes, looks for good progression opportunities but always writes cover letters of what I can bring to a role, I would like to shed light on my experience on paralegal recruitment. Only if a candidate ticks 100% of the boxes for the recruitment firm do that firm actually call back the candidate. These candidates therefore have a pick of 100 other jobs because other recruiters can also see the same number of boxes ticked. I am at a loss as to why, in a market flooded with law graduates, conscientious candidates with plenty to offer that it is only candidates who have prior experience who get a look in. And this is the crux of the problem the recruitment market is having. Because recruiters are looking only within one select pool of candidates - those with previous experience. Take for example the hairdresser who applies for a paralega role. In her head she thinks 'well the likelihood of me getting a call back are slim but I am going to try anyway, nothing ventured nothing gained.' As a qualified law graduate that's how I approach applications. Because if I only applied for roles that offered exactly my line of experience I would never move out of my area of expertise - put simply - I'd be boxed. Select candidates who may not necessarily shine with relevant prior experience but who, given the opportunity, will be able to do the job for your client extremely well, who would apply their mind and who would work to grow the client but also the name of the recruiter. As candidates we don't all tick the box of prior 'litigation' 'conveyancing' etc experience. However a candidate who has performed a busy role within an organisation, who is switched on, IT proficient, entrepreneurial etc will definitely rise to a challenge. Good candidates do definitely want to excel, they don't want to let down future employers or recruiters, if they do, they're not the right candidate. Recruitment is about screening out these candidates. Not selling them because they 'tick the right boxes'. Those box tickers might get the role but the client may prefer a candidate who does not tick the boxes but whose CV and cover letter shows a genuine interest, self-belief and who show the potential to grow their business.